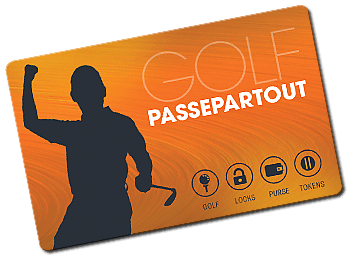 Access to golf clubs with your Golf Passepartout card! The most innovative feature of our new golf card. From today you need nothing but the Golf Passepartout card. The unique golf card that let you buy green fees and subscription, manage golf ball dispenser tokens and open the doors and lockers of the golf clubs that support our system. 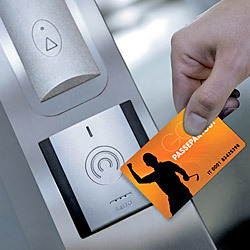 This is a very convenient feature especiallty for golfers who often play on different courses, because they have not wait for the recording time of personal data for encoding a new access card key to open the doors of the golf club. When a clear vision of the future meets the best solution on the market. 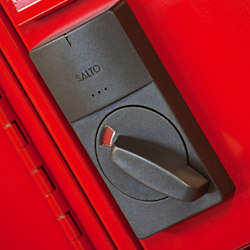 Golf Passepartout has formed a corporate business partnership with Salto Systems, a multinational corpotation leader in locking solutions without needing to wire each door. The partnership aims to develop a dedicated access control system for the new security needs of the golf clubs, sharing the same cards the golfers just use to buy green fees and subscriptions.